As a complement to James Laube's annual report, we can look to Wine Enthusiast magazine for the experience of one of their contributors who reviews wines from Washington and Idaho. "Yes, Cork Taint is Still a Problem"
"Last year , after tracking the more than 1,200 wines I sampled that used natural corks, 3.59% appeared to be cork-tainted, or were 'corked.' That’s a completely unacceptable percentage. 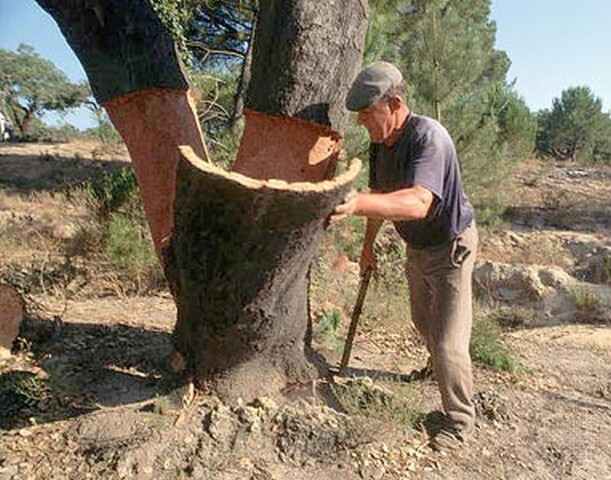 "Moreover, while some believe cork taint is mainly a problem in inexpensive wines, my experience does not bear this out. In 2017, the average price of all cork-tainted bottles I sampled was just over $36. That’s not an inexpensive bottle of wine." "Simple solution for cork taint"
"Corked wine is the ultimate wine disappointment, all the more crushing when the bottle in question is a costly, highly anticipated extravagance. One whiff of the aroma of old gym socks, the signature scent of trichloranisole (TCA), and the only option is to pour the bottle down the sink. "Mel Knox, a San Francisco-based oak-barrel broker who represents French cooper Taransaud, says there is an easy solution, particularly when the cork taint is relatively mild. "In a glass pitcher, wad up roughly a square foot of Saran Wrap or other polyethylene plastic wrap. Pour the tainted wine over the plastic wrap in the pitcher. Expose all of the wine to the plastic wrap by gently swirling the wine in the pitcher for five or 10 minutes. The more pronounced the taint, the longer the wine should be exposed to the plastic wrap. For stubborn cases, repeat the plastic soak with a fresh wad of wrap. "Pour out a small amount of wine to test the results and when the taint is gone, decant the wine into another container. Toss the plastic and enjoy the wine. "Polyethylene absorbs TCA like a sponge, says Brian Smith, president of Vinovation, a 'wine fix-it shop' that is experimenting with different plastic-filled cartridge filters that can be thrown into cork-tainted barrels or tanks to absorb TCA. "As offensive as cork taint is, from a health standpoint it's harmless. Cork taint derives its name from cork closures. The prime cause is a reaction between a mold found in cork crevices and chlorine-containing cleaning compounds used to clean the corks. Its presence also can be traced to wineries where phenolic wood preservatives come in contact with chlorine compounds. Once TCA infects a winery, it is difficult, if not impossible, to eradicate." "If you’re going to start experimenting with this, pay attention to your plastic wrap’s ingredients. Most plastic wraps are made from LDPE, or low-density polyethylene, but some are made from polyvinyl chloride (PVC). Most folks seem to agree that PVC plastic wraps work better in this scenario." Wine bottle corks are both a renewable resource and a recyclable resource. Some retailers (such as Whole Foods Market) have collection bins in their wine departments to accept back used corks for recycling. Whereas other bottle closures are not actively recycled. From an environmental perspective, could cork finished bottles be considered more "environmentally friendly" than metallic screw caps? "Better for environment: wine cork or screw-cap?" I remember the 2004-5 period as terrible for cork quality. Some almost ditched corks altogether at that moment. How many customers we permanently lost is unknown. Better now but still unacceptable. If bad corks are "ok" as a trade off, then how about educating the consumer about how to detect taint? Right now all they now is that the "wine is no good" and drop the brand from future purchases. Let me add this article to the discussion. "Why Wine Corks Are On The Upswing"